November 26th marks the 101st birthday of the NHL – what started as a few guys killing time on a frozen pond stretched into a multi-billion dollar industry enjoyed by millions worldwide and has become so deeply ingrained in the fabric of our nation that it has become partly synonymous with our cultural identity. The first game was played on December 19th, 1917. The Montreal Canadiens beat out the Ottawa Senators to win the inaugural match. And Ottawa has been mad ever since. Wayland Group (CSE:WAYL) announce it has entered into an agreement to acquire 51% of UK based Theros Pharma Ltd., an early stage company that has successfully imported cannabis to the UK for patients with a prescription for medical cannabis. This transaction enhances Wayland’s global growth strategy and will provide the Company with access to the UK market for sale and distribution of its products. Recent UK legislation allows for the prescription of cannabis from a medical specialist via a regular pharmacy model. Access to this burgeoning market, with National Health Service insurance coverage for medical cannabis to ensure patient outcomes, is a key strategic element of Wayland’s global platform. NanoSphere Health Sciences Inc. (CSE:NSHS) announce the Company has developed a new intraoral delivered cannabis product for the Canadian market, which produces similar effects to smoking cannabis, but is safer and more effective than edibles. Regular consumers of cannabis know the effect of cannabis when smoked is very different than the effect when taken orally. The Evolve NanoGel™ uses NanoSphere’s patented delivery system to transport a full spectrum of THC, other cannabinoids and terpenes through the gums and directly to the bloodstream and into cannabinoid receptors. The result for both medical and recreational consumers are vastly more effective products. On the other hand, Kaufman points out that smoking or vaping cannabis may have long term adverse effects on the respiratory system. “With the NanoSphere Delivery System™ you get a very similar effect to smoking cannabis, but without risking damage to your lungs, and you don’t risk an overload of 11 – OH – THC as you would by taking an edible,” he said. NanoSphere, its affiliate NanoSphere Cannabis International (NCI) and partner firm Delta 9 Cannabis Inc. will be applying to Health Canada for approval to have the NanoGel oil produced and sold in Canada. Harrys Manufacturing Inc. (CSE:HARY) announce it has developed a proprietary high throughput pre- roll technology and manufacturing process for use in the cannabis market. Based on the existing process for rolling tobacco cigarettes, Harrys has adapted its current technology for potential use in the cannabis industry. Harrys is expecting to provide licensed producers in the cannabis space with the technology and capability to produce standardized, consistent and high – quality product that is packaged and private labelled to fit any demand. New Age Brands (CSE:NF) and Integrated Cannabis Company, Inc. bring CBD retail pop-up to X-Games 2019. New Age Brands’ have teamed up with Integrated Cannabis Company, Inc. (CSE: ICAN,) and their X‐SPRAYS product line, a novel CBD spray delivery system, to bring an innovative CBD concept to the Colorado X Games on January 25 – 27, 2019. As of last week, the City of Aspen approved the first ever CBD pop‐up retail store in their city limits. MGX Minerals Inc. (CSE: XMG) reports that joint – venture partner A.I.S. Resources has commenced drilling at the Salinitas lithium project in Argentina. Samples recovered thus far from a 43 – meter interval show a porous coarse sand which is conducive to the transmission of brines. The trenching program completed in October confirmed the presence of these porous sands. 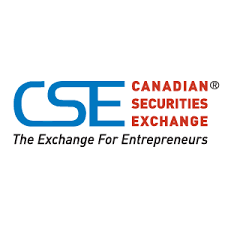 Crop Infrastructure Corp. (CSE: CROP) announced it has signed a processing agreement with a manufacturing company that will produce oils, crumbles and distillates for sale in to the California market. The raw material will be finished cannabis from CROP’s Humboldt County farm where the cannabis is awaiting sale, being trimmed or drying. The farm is currently flowering 10,000 sq. ft of canopy for a late stage harvest and is working on the permitting for its 2019 expansion including a proposed 30,000 sq ft automated greenhouse facility. MYM Nutraceuticals Inc., (CSE: MYM) announce that it’s subsidiary, Sublime Culture Inc. , has completed its migration to Health Canada’s Cannabis Tracking and Licensing System, or CTLS . The CTLS is a public facing web application that enables the submission of new license applications, request for amendments and license renewals in addition to submission of monthly tracking reports. AREV Brands International Ltd. ( CSE – AREV ) announce that BC Bud Depot has commenced an intensive phase of developing new proprietary strains. Seeing a deficiency in the variety and qualities of cannabis strains made available to the medicinal and recreational markets by Licensed Producers in Canada, BC Bud Depot has begun germination and selection from its extensive proprietary genetics vault of breeding stock for new strain development. The BC Bud Depot genetics vault is a collection of over two hundred unique elite cannabis strains collected over 20 years. West Red Lake Gold Mines Inc. (CSE: RLG) will begin exploratory drilling on its West Red Lake Project located in the prolific Red Lake Gold District, Northwestern Ontario. PLUS revenue grows 617% to $2.56 million in Q3. Plus Products Inc. (CSE: PLUS) is the leading edibles manufacturer in California. The Canadian cannabis market is unique – and yet those in the know have been talking this week about what’s going on in Oregon and possible parallels to our own burgeoning market. While we are struggling to open retail locations and bring enough supply lines into play to satisfy our exploding demand, Oregon has long since been there, smoked that. In fact, there is so much weed in Eugene (what they now call The Green Mile, due to the amazing number of pot shops located on it’s main strip), that retailers are selling eights for $5 and $40 for an ounce. The Canadian government has said it fully expects prices to come down as competition increases – indeed, a lower pot price is part of the governments overall strategy to drive the black market operators out of business – but could we see our prices get as low as $5 for an eighth? And if that happens, can many of these new retail operations stay in business? We shall see. I suspect it will be those with the deepest pockets – the conglomerates and the international sellers. The days of mom and pop weed shops might be numbered, even before they really begin.